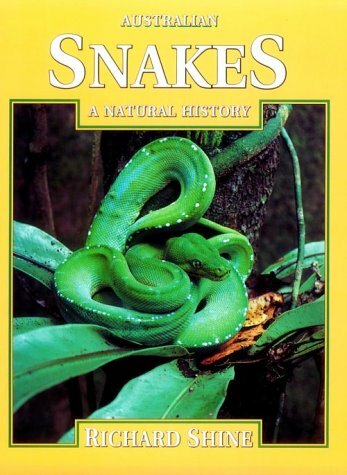 Some of the most dangerous species in the world belong to the snake family. They are some of the most deadly animals in the world. Australia has some deadly snakes – some of the deadliest in the world. Dangerous Australian snakes include: the taipan, death adder, tiger snake, eastern brown and red-bellied black snake. The majority of snake bites are from the venomous Australian snakes, the tiger and the brown. Snake venom differs in its properties from one type to another. Neurotoxins paralyse the victim by scrambling the electrical signals carried by the nerves around the body. The neuro-muscular junctions, where the nerves join the muscles, are shut down preventing signals getting through from the brain to the muscles. Symptoms at this point are headache, nausea, vomiting, stomach pain and dizziness. This progresses to blurred vision, with perhaps convulsions and coma following. The neurotoxin may also be a myotoxin which eats away at muscle tissue. As the muscles dissolve they pass through the kidneys turning the urine a reddish-brown. Trying to filter tissue debris from the blood damages the kidneys and kidney failure is a common complication and cause of death with serious snake-bites. A procoagulant prevents blood from clotting by removing a natural clotting agent called fibrinogen. There may be persistent bleeding from the site of the bite, with resultant serious internal bleeding. This can be fatal, especially if the bleeding is in the brain. The inland taipan is sometimes touted as the most venomous snake in the world. It is also known as the small-scaled or fierce snake. Its binomial name is Oxyuranus microlepidotus. Luckily, the inland taipan is found only in the arid desert regions of central Eastern Australia. Drop for drop, the inland taipan delivers the most lethal poison of any snake. The 12mm fangs inject a very nasty chemical mix. With one strike, a taipan can inject 60mg of venom. This will quickly paralyse a small marsupial. It is also enough to kill several adult humans. Taipan venom contains neurotoxins, myotoxins and procoagulants. Credit: Wikimedia - Author AllenMcC. The coastal taipan (Oxyuranus scutellatus)(above) has a fearsome reputation because of the size of its fangs and its aggressiveness. The venom is potentially lethal and the fangs so large that a lot of venom is injected into its victim in a short time. It is found in parts of north Queensland and the Northern Territory. The death adder genus is Acanthophis. It belongs to the family Elapidae. Elapid snakes are characterised by hollow, fixed fangs. The death adder is 9th on the list of the world's deadliest snakes. It is native to Australia, New Guinea and nearby islands. The death adder has a short, robust body and small scales. The heads are a triangular shape with many small scales on the top of the head. The pupils are vertical. It may take 2 to 3 years to reach its full size and females are slightly larger than males. Their distinguishing feature is the small, worm-like lure on the end of the tail. The colouring of the death adder is variable but may be black, grey, red or yellow. Most have large, transverse bands around the body. A death adder bite produces paralysis. This can lead to death after about six hours as the respiratory system ceases to function. Antivenom is now available and is quite effective. The tiger snake (Notechis scutatus) is part of the Elapidae family. It gets its name from the striped markings on the body. However these transverse bands aren't always present. The tiger snake is found in southern and eastern Australia, mostly in coastal areas, creeks and wetlands. Tiger snakes range up to 2.1 metres long and have a stout body. There is quite a variety in their colouring depending on their environment. It may be pale to dark yellow, olive, orange brown or jet black. The underside is generally lighter in colour and usually orange or a creamy yellow. The darker bands may be quite indistinct or may contrast markedly. When threatened, the neck flattens out and the forepart of the body is raised off the ground. They give birth to 12 to 40 live young. Frogs form a large part of the diet. Mice, lizards and birds are also eaten. Juveniles gain a major part of their nourishment from skinks. Tiger snakes will climb trees to get at eggs and fledglings. The tiger snake is often found around human habitation. Hay-stacks and barns are good sources of mice and rats and provide shelter as well as food. The eastern brown snake (Pseudonaja textilis) is a fast-moving and aggressive elapid. 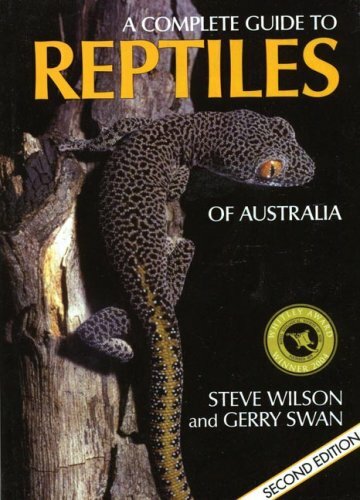 It is considered one of Australia's most dangerous reptiles. Adults are highly variable in colour, ranging from a uniform brown to a very pale fawn, black, orange, silver, grey and yellow. There may be speckles and bands. The average length is 1.5 to 1.8 metres. It is found all along the east coast of Australia, in arid areas of the Northern Territory, the far east of the Kimberly in Western Australia and in parts of New Guinea. It is found through virtually all habitats except for rainforest and wet areas. It is an opportunistic feeder, eating most vertebrate animals including rodents, lizards, birds and frogs. Its liking for rodents brings the snake into areas of human habitation. The brown snake is active during the day. When threatened they hold their necks high, making an upright 'S' shape. It sill usually flee if given the chance. The venom of the eastern brown contains both neurotoxins and coagulants. The eastern brown has been 'milked' of 4.7mg of venom per milking. The size of the snakes determines to some degree the volume of venom produced. Eastern brown males compete for the right to mate with females in an area. A clutch of 20 to 40 eggs are laid late spring or early summer. The juveniles are completely independent of the mother and the nest is not guarded. The red-bellied black snake (Pseudechis porphyriacus) is an elapid snake found in eastern Australia where it is widespread on the coast and in the ranges in woodlands, forests and swamps. The venom is highly toxic but generally not fatal. The red-bellied black snake prefers to bluff its victims and scare them off. It is one of the better-known snakes, common in urban areas but mostly seen near bodies of water. The average length is 1.5 to 2 metres. The dorsal surface is a glossy black with pink, red or crimson on the lower sides and belly. The snout may be a lighter brown. Its main food source is frogs, reptiles and small mammals. They also eat other snakes including those of their own species. For a while the red-bellied black was decreasing in population as numbers were dying through eating the poisonous cane toad. They are now learning to leave cane toads alone and numbers are rising again. The venom contains neurotoxins, myotoxins, coagulants and some haemolytic properties. The snake usually injects little venom and a smaller dose of tiger snake antivenom can be used if there is no red-bellied antivenom available. This species is ovoviviparous, meaning they give birth to live young which are born in individual membranous sacs. Eight to forty babies emerge from their sacs soon after birth. The average length of the babies is 22cm. Few will survive to an age where they will reproduce. Snakes have a part to play in an ecosystem by helping keep down the rodent population. These poisonous Australian snakes rarely attack 'animals' as large as a human unless it is cornered or threatened in some way so it is always best to back off quietly and carefully if coming face to face with a venomous Australian snake - or any other snake!